Eva Millona (left), executive director of the Massachusetts Immigrant and Refugee Advocacy Coalition, has been trying to line up businesses from all corners and sectors of the state. When Congress tries again to tackle the thorny issue of immigration reform next year, Eva Millona wants Massachusetts businesses to have a seat at the table. That’s why the executive director of the Massachusetts Immigrant and Refugee Advocacy Coalition has been trying to line up businesses from all corners and sectors of the state for her cause. On Monday, MIRA will officially launch what will be called the Massachusetts Business Coalition on Immigration. So far, more than a dozen companies have collectively kicked in $15,000, on top of $20,000 in seed money from the United Way of Massachusetts Bay. But Millona says she is shooting for a much more ambitious number: at least 200 corporate members. Millona started building the coalition earlier this year, after watching similar efforts succeed, first in Illinois and then in a few other states. Millona is seeking corporate allies to tackle a number of causes — ranging from securing legal residency for holders of temporary protected status on the federal level to strengthening state-backed workforce programs for foreign-born workers. Other Massachusetts business groups have tackled aspects of this issue, particularly since the Trump administration imposed restrictions. The software-focused Mass Technology Leadership Council, for example, has been involved with litigation to stop or ease the administration’s travel bans. But Millona says a more overarching approach to immigration reform is needed. She wants a business group that brings those software firms alongside the likes of Cape Cod restaurants, research hospitals, and construction companies. 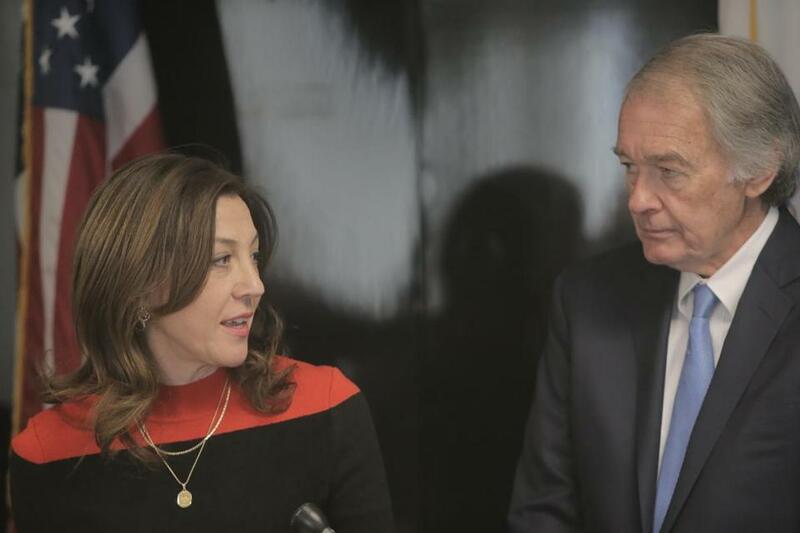 The list of early participants is about as diverse as they come, ranging from Boston developer HYM Investment Group to Fall River linens manufacturer John Matouk & Co.
For HYM’s Tom O’Brien, this is about protecting a competitive advantage for Greater Boston. When bright minds in other countries think of a great idea, he says, they often come here to pursue it. A strong business case can be made for ensuring the United States has a fair and predictable immigration system. To Matouk CEO George Matouk, it’s about protecting his company’s legacy and his future workforce. His grandfather, an immigrant from Syria, started the company in 1929. Now, first-generation immigrants make up nearly half of the Matouk factory’s 130-person workforce. The Massachusetts economy is thriving, particularly within Interstate 495. Statewide unemployment is at its lowest point in 18 years. But that success is turning into a problem, as companies increasingly struggle to find enough workers to fill jobs. Nearly one in five Massachusetts workers is foreign-born. Employers, especially during the boom times, recognize the benefits of tapping into a talent pool that’s as big and wide as the entire world.